It's unlike anything I have ever done before. Am writing this blog post from the Terminal 1D of the domestic airport of Delhi. For the uninitiated, I'm heading towards Goa to attend the iMedia Brand Summit and will board my flight in a couple of hours from now. Why not use this time to tell you about one of my recent escapades? Did I tell you that last Friday I learned how to make a full-blown 'winning' pizza? I kid you not, a real, large-sized non-vegetarian pizza. For someone who spends very little time in the kitchen, it was historic to win a 'pizza-making challenge' in my very first attempt. I'll come to the 'winning' part a bit later but first thing first. While some of you might think that making a delicious thin crust pizza with your favorite toppings is a tall order, quite honestly, it isn't. 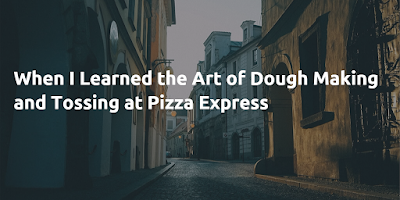 In fact anyone can cook a sumptuous pizza in less than thirty minutes but not everyone will have a 'secret dough recipe' that the iconic Pizza Express is raved for. 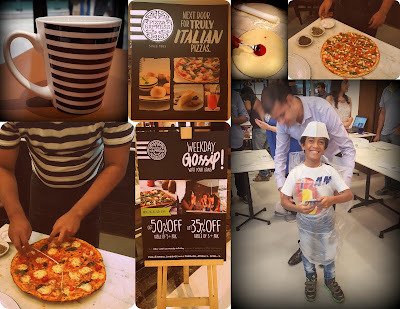 In this post, I'll not go into the intricacies of how to make a pizza at home. 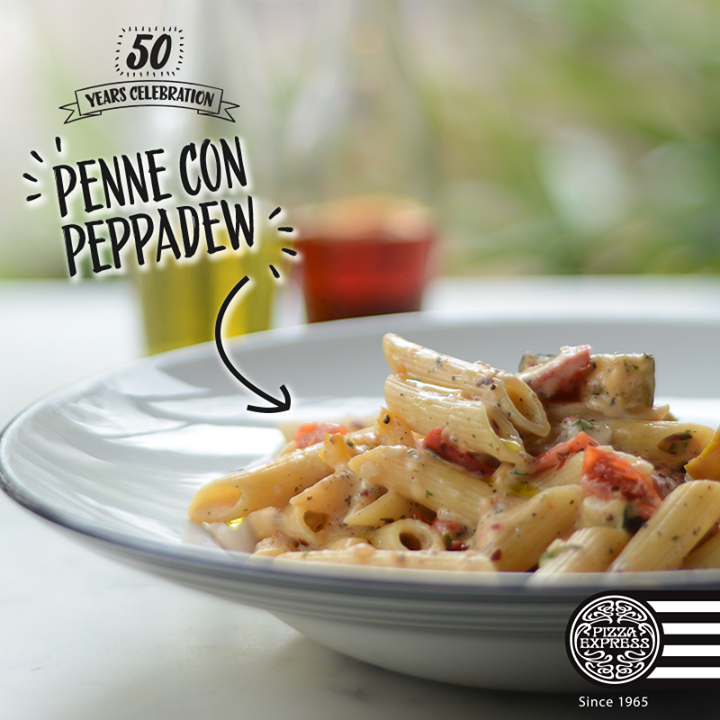 Neither will I share a special dough recipe to make your pizza stand out. 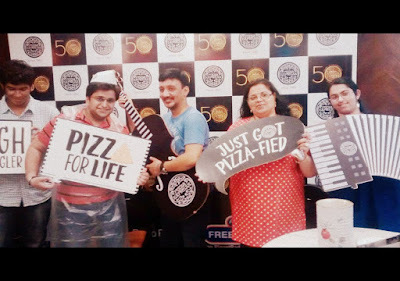 This post describes my experience of being at a unique food event alongside a group of 20 inquisitive food bloggers at the newly opened Pizza Express in Ambience Mall, Gurgaon, where I learned, er, mastered a new culinary skill besides tasting some finger licking awesome pizzas. 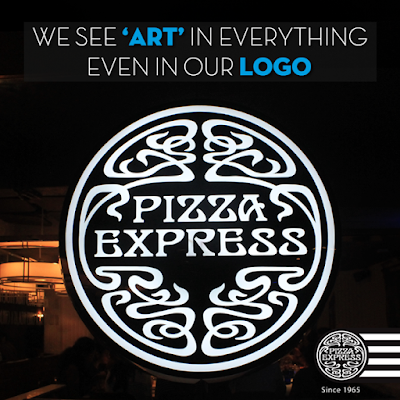 Pizza Express is the world's leading casual dining and consumer brand since 1965. 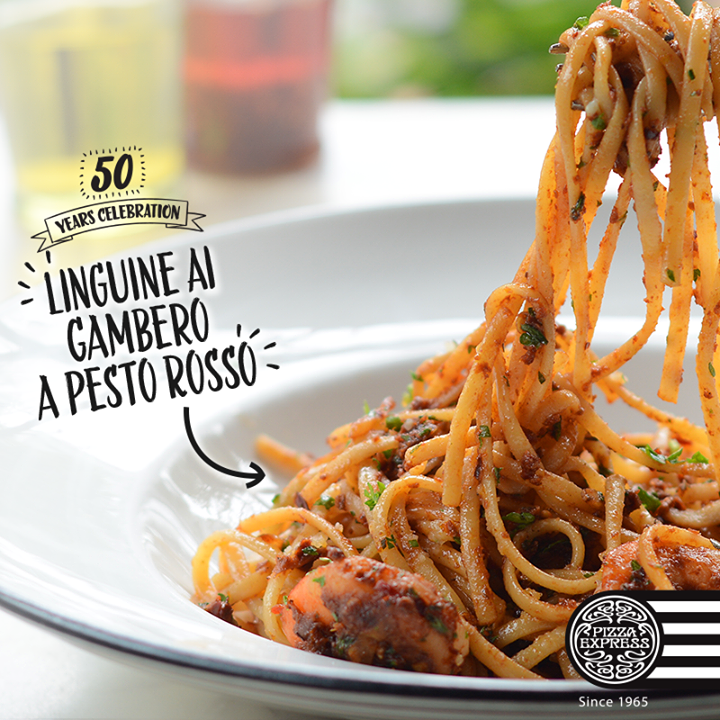 Contrary to popular belief, it is not an American, Italian, or Indian brand. 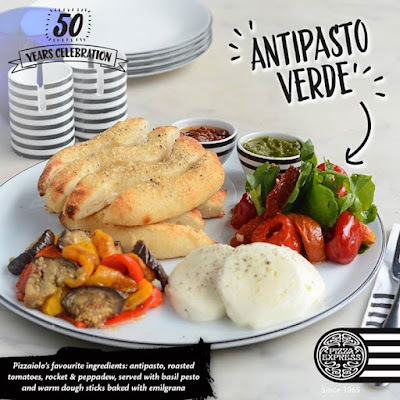 The first Pizza Express outlet opened in Soho, London, and to commemorate their 50 years journey into the food business, they've launched a new refreshing menu for patrons in Delhi-NCR. 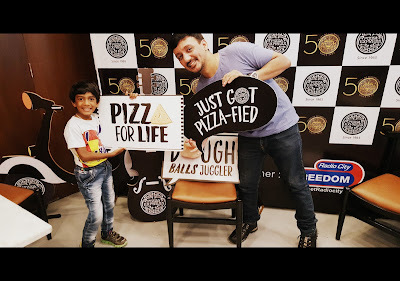 And guess what, who got to taste it first? Yours truly of course! 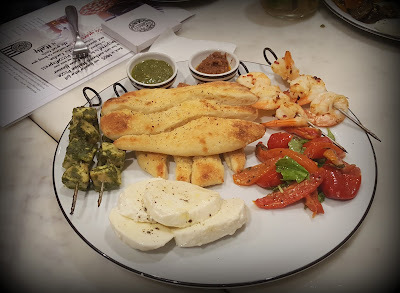 I was blown away by their exotic Italian platters, prepared by trained Pizza chefs (a. k. a. Pizzaiolos). From vegetarian (Antipasto Verde) to non-vegetarian (Antipasto Pollo e Gamberro) starters, there is so much variety to choose from. 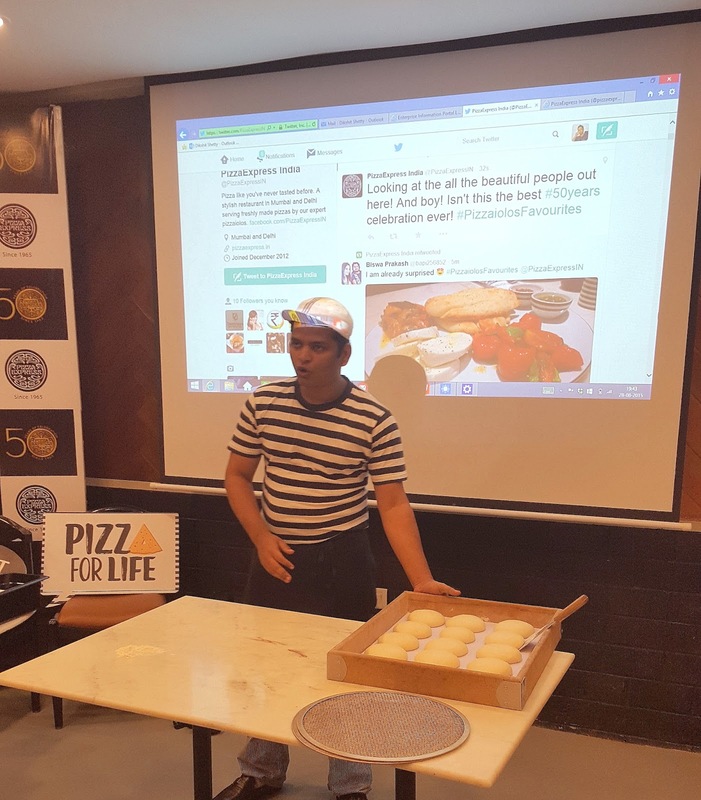 Indian Pizzaiolos train for nearly 12 weeks to learn and perfect the art of pizza making. Isn't that amazing! The thing you'll particularly admire about Pizza Express is the perfect use of quality ingredients on handmade pizzas, like the harissa marinated tomatoes or perfectly seasoned mozzarella with pepper and oregano, garnished with fresh spinach and creamy ricotta. My personal favorite was the Amore Nascosto, a special pizza topped with speck ham. 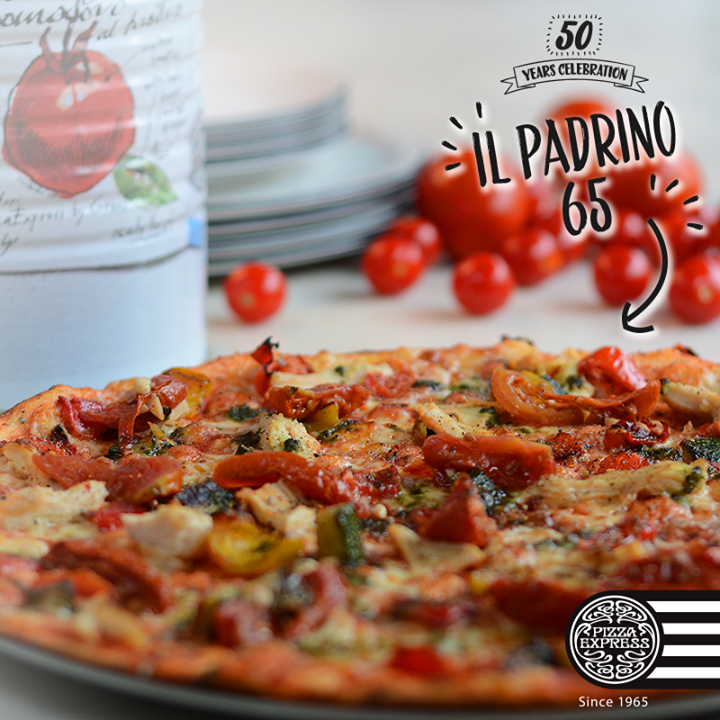 If you enjoy pizza with grilled chicken as topping, try the Il Padrino 65, which also contains a seasoned mix of charbroiled vegetables and fresh mozzarella. 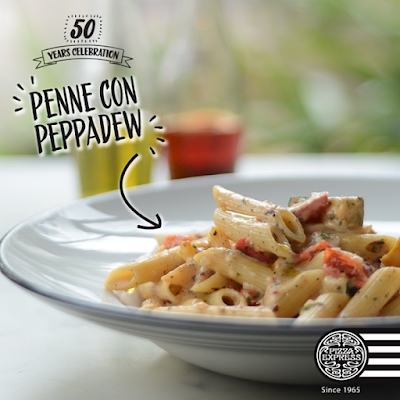 Pizza Express has also introduced a wide variety of delicious pastas, such as the Penne con Peppadew, the Pollo Pesto Baked, the Linguine Ai Gambero a Pesto Rosso, and the Pollo Arrabbiata. Ever since Pizza Express was launched in India in the year 2012, they have continued to innovate, bringing out the same flavors and ingredients that you'd find in any of their global outlet. 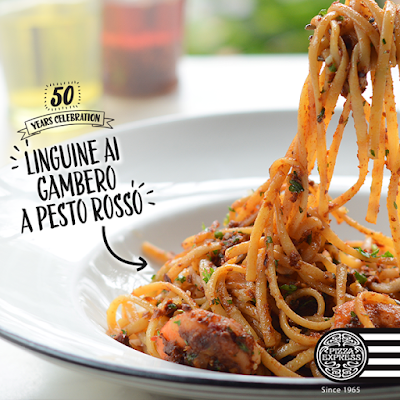 Like their signature Romana base, which is the same base you'd find in Rome. Nowhere else would you get an exceptionally thin and crispy pizza base. The ingredients are freshly procured and diced daily. 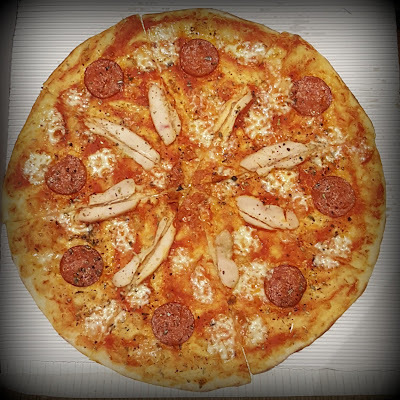 All pizzas are made to order. Fresh, quality pizzas, served in no time. The restaurant advocates an open kitchen concept. See how your handmade Pizza is cooked in front of your eyes. The decor is fantastic with hues of black and white colors. I couldn't stop admiring their marble table tops from Jaipur. 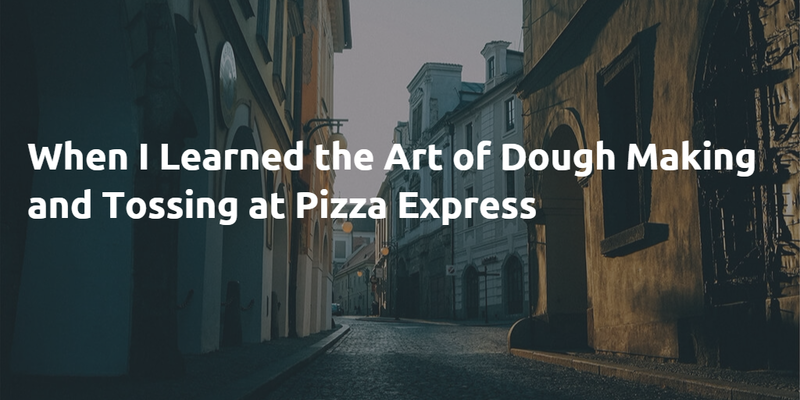 Finally, I walked home as a happy camper by perfecting the art of dough making and tossing. Thank you Pizza Express for such a wonderful evening of fun and serendipity.